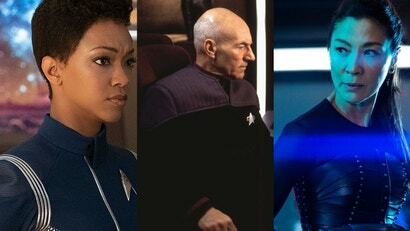 After years and years on the back burner, Star Trek is truly ascendant on television once more. Although for now we just have Star Trek: Discovery, soon enough CBS wants us watching tons of new space exploration shows. While we’re not quite at five hundred twenty-five thousand six hundred Trek shows just yet, there’s a lot — and here’s what we know. OK, let’s start with the for sure one, because, err, it’s currently airing. Season two, which began last month, has been pretty solid so far, as the crew of the Discovery — now under the temporary command of Enterprise Captain Christopher Pike, played by Anson Mount—goes on a search for Spock (Ethan Peck). We also know for now that the show’s future is pretty much set; season two’s premiere did very well for CBS All Access, and the creative team recently confirmed they’re already working on scripts for season three. It is available in Australia on Netflix. The first batch of four minisodes may have come to an end, but there will indeed be more short-form Star Trek content coming. More Short Treks will arrive later this year after the conclusion of Discovery’s second season, and, interestingly, at least some of them will be animated episodes rather than live action. We don’t know what they’re about, but we do know that there are two animated minisodes coming, and composer Michael Giacchino — who scored the recent Star Trek reboot movies—will direct one. Hopefully this time around, non-U.S./Canadian fans will be able to experience them without a months-long delay! This is a wild one, isn’t it? 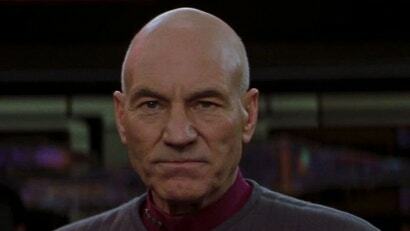 It’s still hard to believe it’s actually happening—from the initial rumour to Sir Patrick Stewart himself officially announcing it at Star Trek Las Vegas last year, it’s already been one hell of a ride for the return of one of the most beloved Star Trek characters of all time: Captain Jean-Luc Picard. Set approximately 20 years after the events of the last The Next Generation-era movie, Nemesis, the series will follow an older Picard, who will no longer be a Starfleet captain — whether that’s due to retirement or promotion remains to be seen. It will deal with the personal and galaxy-spanning traumas left behind by the destruction of the Romulan homeworld Romulus, caused by its nearby star going Supernova, an event that actually set the stage for the alternate “Kelvin Timeline” reboot movies first seen in 2009's Star Trek. Suffice to say, as we’ve been told repeatedly by both Stewart and the team involved in the series: Don’t expect the Picard you know and love, but a man deeply changed by what he’s been through in the decades since we last saw him. We don’t know much more than that, other than the fact that Stewart recently described the series as being a “10-hour movie”, and that there are hopes that the show won’t be a one-and-done thing but could potentially continue for 3 seasons, taking us further into the main Star Trek timeline’s canon than we’ve ever seen before on TV. We won’t have too long to find out just what that’ll entail, either; the show’s currently aiming to air on CBS All Access by the end of 2019. The first Star Trek animated series since, well, Star Trek: The Animated Series, Lower Decks is being showrun by Rick and Morty head writer/executive producer Mike McMahan. 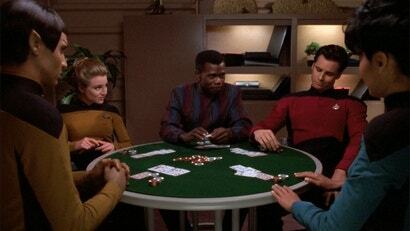 Unsurprising then, given McMahan’s resume, Lower Decks will offer a more humorous take on the world of Star Trek. And yes, it’s named for the TNG episode that focused on the lower-ranked Starfleet officers aboard the Enterprise-D but it won’t be set there. Set aboard “one of Starfleet’s least important ships,” the Lower Decks animated series will aim to tell the stories of Starfleet members below even that. It’s about the support staff of said unimportant vessel—more specifically, according to a quote from Alex Kurtzman, it’s about the kind of crew “who put the yellow cartridge in the food replicator so a banana can come out the other end.” We don’t know when to expect the series just yet, but it’s safe to say it’s probably a ways off. The most recently announced addition to all this might be the one that’s furthest off. Focusing on Michelle Yeoh’s Star Trek: Discovery character, Phillipa Georgiou—more specifically the alt-reality version of her from the Mirror Universe, where she was the sinister ruler of the infamous Terran Empire—the series will explore the recent plot development on Discovery of Georgiou’s recruitment into the equally infamous Section 31. If you’re unfamiliar, Section 31 is a black ops branch of Starfleet first introduced in Deep Space Nine as a shady group of intelligence agents who are willing to discard the ethics Starfleet are usually governed by to preserve the moral souls of the Federation at large. Beyond that, we don’t know what else to expect — after being rumoured a while ago, it was only recently confirmed as being worked on. In fact, writing has only just really begun with the end of production on Discovery season two, and Kurtzman has recently said that they don’t expect it to air until at least after Discovery’s third season. 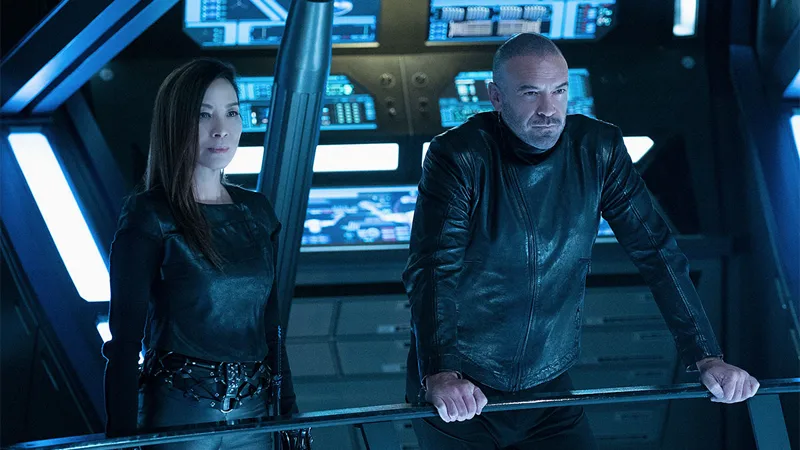 Assuming that airs in 2020, it could be late 2020/early 2021 before we see Michelle Yeoh kicking space arse in black leather. 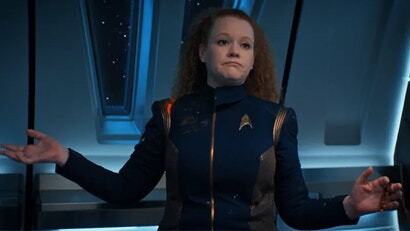 Well, on this show, at least—she’s currently doing just that on Discovery season two. We’ve not really heard much about this since it was first rumoured as part of Alex Kurtzman’s expansive deal with CBS to produce as much Star Trek content as is logically possible (as you know by now, it’s...a lot! ), other than it’s still happening. The series — showrun by Marvel’s Runaways and Dynasty’s Stephanie Savage and Josh Schwartz — will, as the title suggests, follow a younger and less-experienced cast of Starfleet heroes than we’ve usually seen leading a Star Trek show, as they go through the trials and tribulations of being young teens, but also like, Stellar Cartography 101. Now we’re truly in the realm of things we barely know about. This project, first revealed by Alex Kurtzman as part of a profile in the Hollywood Reporter, is a second animated series that might ultimately not actually air on CBS All Access, but elsewhere. THR identified it as being skewed toward a younger audience, but beyond that, basically we know that it’s in very, very early stages, and we can expect it to have “an entirely different perspective and an entirely different tone” to Lower Decks, according to Kurtzman. Lastly, we have something that might not even happen—and if it does, it’s a long time away. Well before Kurtzman’s $35 million deal was even revealed, there were murmurs around the first post-Discovery project in Star Trek’s new streaming era: A new addition to the canon by Nicholas Meyer, the legendary director of what is arguably the most beloved Star Trek movie, The Wrath of Khan. 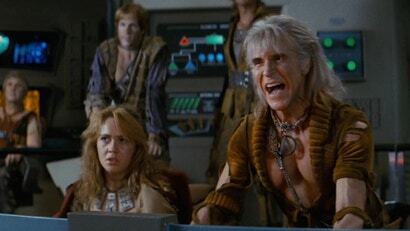 Almost immediately after Meyer himself dropped hints that he was working on something Trek related for All Access, rumours naturally emerged that whatever it was, it would revolve around the iconic Khan Noonien Singh, the genetically enhanced villain that Kirk and the Enterprise crew faced off against in “Space Seed” and Wrath of Khan. Meyer stoked those too, but then as Discovery premiered and word began getting out of more Trek projects on the way at CBS, everything went quiet. That is, until Meyer popped up once more to confirm that not only was the project a trilogy of movies for CBS All Access, but it was currently on indefinite hold, thanks to ongoing legal drama between CBS and a potential merger between its parent company and Viacom. We’ve heard nothing since then, but honestly? 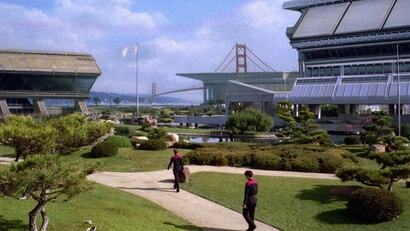 Given everything else going on Trek-wise, don’t expect this to happen, at least not for a while.